Delaware down payment assistance programs are the real deal for people who want to own homes but the lack down payment is holding them back. This is possible because the Delaware State Housing Authority has down payment assistance programs. Delaware been a community area affected by the foreclosure crisis will finally buy and rehabilitate homes. Furthermore, the amount of the down payment affects the size of the monthly mortgage payments. It also affects how much one can borrow as well as the amount available for extra home buying costs. One such program is the Neighborhood Stabilization Program (NSP), for new homeowners in these zip codes: 19805, 19802, 19720, 19709, 19702 and 19701. There are some home buyer qualifications for this program. The applicant should have an income below 120% the median income (for a family of four, $96,500). The applicant should also complete an 8 hours housing counseling approved by HUD. Among the Delaware down payment assistance programs is the Vacant Homebuyer Assistance Program (VHAP). This program is an ideal to make your dream to own a home a reality. Successful new homeowners qualify for a 0% interest, 5 years and explicable loan of 6 % of the sale price for down payment. The qualifications for this loan are the same with those of the NSP. An FHA loan is a government program that requires a down payment of a low 3% down. However, there are several limitations for this loan qualification. To be eligible the applicant should have a good credit history, borrow an amount set by the Delaware State Housing Authority. The borrower should occupy the home he/she is buying as opposed to rental or vacation purposes. Another government program is the VA loan. This is a program for any interested applicant who is a U.S military veteran. Any U.S military veteran with satisfactory credit history and have enough income to cover monthly mortgage payments. However, there is a small VA fee based on the amount of down payment applied. 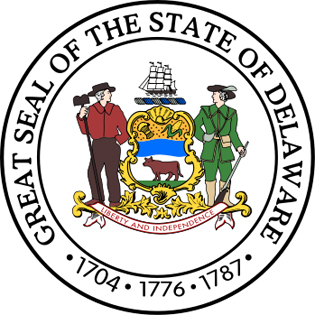 This entry was posted in Delaware and tagged delaware, down payment assistance, grants, housing authority, programs. Bookmark the permalink.